It takes more than a good idea to build a great business.  VentureCatalyst is a comprehensive, co-curricular program for MSU’s students and faculty who are interested in starting a successful, investor-backed company. Comprised of five, progressively more difficult stages matched with up to $7,500 in grant funding, entrepreneurs will learn how to evaluate a market, create a detailed product plan, and draft an investable business & finance plan. Startups graduate when they have raised investment of 2-yr burn rate OR are self-sustaining on earnings. MSU VentureCatalyst™ guides founders through a four stage process to help teams raise sufficient capital to operate for at least 18-months of runway. Each stage is detailed below. Click the tabs below or download the entire checklist. Goal: Articulate business idea. Demonstrate commitment, initiative, and focus. Complete online training course through Stage 1. Score 85% or higher. Who the competition; how are you better? Approval by the PREP to proceed into program. Goal: Identify the customer, value proposition, and market opportunity, and validate all three. What did you get right in your business model? What did you get wrong and will change based on feedback? In what ways have you refined your target customer and strengthened your plan? Complete online training course through Stage 2. Score 85% or higher. Construct a proof-of-concept or basic functional demonstrator of product/solution. Search Stage Checklist complete and ECAB approved. Goal: Develop an executable business plan, working one-on-one with an experienced mentor. Implement feedback from ECAB into business model canvas, executive summary, pitch deck. Complete online training course through Stage 3. Score 85% or higher. Prepare a product plan describing: key features, production details, BOM, partners/suppliers. Discuss product plan with at least 20 potential customers to verify product-market fit. Evolve slide deck from Stage 2, refining content and describing the investment opportunity. Review both documents with dedicated mentor. Mentor signs and remits endorsement. Plan Stage Checklist complete and IRC approved. Goal: Begin execution of plan. Raise sufficient follow-on funding to reach 18-months of runway. Implement feedback from IRC into completed document set. Engage an attorney to establish legal structure, initial capitalization table, any IP cleanup. Get prototype in front of multiple potential customers. Capture feedback. Schedule a final review session with partner angel network representatives. Present to angel network for up to $1M investment. Secure terms with angel network and attorney to close the round. Launch Stage checklist complete; investment for 18-mo OR self-sustaining on earnings. We provide up to $7,500 across three funding rounds reviewed by external boards. Fixed awards to help new entrepreneurs identify their customer, value proposition, and develop a basic proof of concept or mock-up. Capital to continue customer and market discovery, develop a minimum viable product (MVP), purchase critical equipment, hire professional counsel, or other requests. Grant to enable teams to begin execution of their approved business plan. Three training programs help teams identify their customers, create an executable plan, and build necessary infrastructure to begin sales. Understanding who is the customer, what is the value provided, and the basics of building a business model. Developing a product roadmap, business plan, and building financial projections. Numerous tactical tools and methods to develop a sales pipeline and supply chain. Core mentors provide light guidance by subscribing to biweekly email updates from teams. Coaches work one-on-one with a single paired startup team, as a dedicated mentor.